As we kick off 2019, we’ve been joined by a number of new staff and, as is the tradition around these parts, we’d like them to introduce themselves to the community. 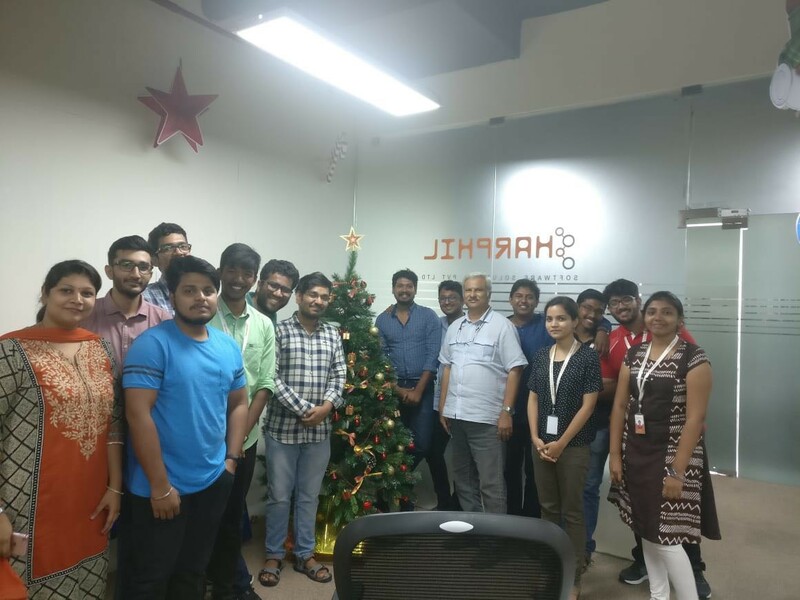 Today, we’re starting off with a few ‘hellos’ by three top-notch interns who’ve joined various teams and are all based in the Chennai office. Hello everyone, Muralidharan here, writing my first ever blog — I’m really excited to be at Maidsafe! I hail from Tirunelveli which is a part of rural India located at the foothills of the Western Ghats, famous for its Halwa (popular Indian dessert) and waterfalls. It is popularly known as the Spa of South India. I have always been an inherently inquisitive person to know everything that I come across. During my school days, my dad would say “I know you possess great potential within you, then why aren’t you making use of it?”. His words have always motivated me to push myself to reach new heights. Since my childhood, I have been fascinated by two things; Neuroscience and Computer Science. And I’m glad I took the decision to pursue Computer Science as my college days have been instrumental in shaping my life. Very early on in college, I came to the realization that, I never achieved anything great by just going by the book. Ever since that epiphany, I have pushed myself to do more than just study and be a bookworm. I took every opportunity that came my way. This helped transform me from just being a bookworm to an all-rounder who is now a developer. I am a field hockey player and have represented my college in competitions which I consider one of my notable achievements. Being an NCC cadet provided me with numerous life experiences and adventure. One reason that has kept my love for learning Computer Science intact is the burning desire to be able to know what occurs when you type www.maidsafe.net and press enter, you can pretty much tell what happens from the address bar all the way down to electrons. AND YOU LOVE IT. You feel like you own the whole stack and you understand computers like your friend from a mechanical background who understands internal combustion engines. Just like the curiosity that leads you to open the hood of a car and play around. I started exploring with the compiler when I got my 1st ever computer. When you learn something new, you want to open it up and see what makes it tick. You want to see how it relates to what you already know. You know you will be successful because you can have a FEEL for the whole system from the computer science perspective. When the opportunity to join Maidsafe came, I was really thrilled because of the fact that I get to be a part of something new and original. I feel inspired by the knowledge and expertise of team members who are from different parts of the world but working in unison to provide privacy, freedom, and security to everyone in today’s data-populated internet world. I believe that this community will provide me with a whole new experience helping me grow both professionally and personally. I am passionate about technology and looking forward to contributing to the SAFE Network project, in the coming days. Cheers! I’ve always been intrigued by cryptography, networks, and Web development. My passion for figuring out the building blocks of our current network structure led me to do a network-based internship for a local firm in 2017 which was also where I became fascinated by how the team analyzed the needs of clients. When I got an opportunity to do one more internship, the most logical option was to intern with another Chennai-based company, this time a web development company called Smartapp. It was an amazing learning experience, but what I value most from my time there was that I learned how to structure code to better design end products. I’ve always enjoyed new tech and it constantly amazes me as to how it makes everyday life more convenient and productive. By my third year of college, I had absolutely no doubt that I had made the right choice to follow my passion for computer science. Yet I was looking out and seeking to learn more about new languages, frameworks and the Open Source Community which I feel strongly about because it makes source code accessible to anyone anywhere, which is how I believe how all projects should be. I knew instantly that I wanted to contribute in some way to Open source projects. At the time I was not sure which project to contribute to and I felt my skills were not suitable for most open source projects I came across. And I continued to look for a role that would not only inspire me but would also keep me on my toes and help me make a difference in a way I value. That is when I came across Maidsafe. The concept of a decentralized Internet is something that appeals to me especially and intrigues me. MaidSafe have always promised to give privacy, freedom, and security back to the people and I know how important this is in today’s world. And here was a company that was working towards making this a reality. Being a part of something new that inspires me has always motivated me to do my best. And here I was suddenly presented with the opportunity to work for my dream company. I’m very excited to be at Maidsafe as I share the same values as the company believes in providing Privacy, Security & Freedom. I am excited to be part of Maidsafe working with the UI/UX team, am looking forward to working with you all and fascinated to be a part of building the SAFE Network. I’m a student in my last semester of Computer Science Engineering and I’m really excited to start working even before completing my degree. During my school days I was interested in programming in C++ as it is the base for everything. This led me on to study Computer Science Engineering. In my college days I started developing my skills in programming, as well as in web development, developed few applications like Leave Management System(s? ), Inventory Management system(s?) and attended workshops and presented a paper in Anna University. I also have some experience in developing websites in WordPress. By the end of third year, I undertook my first industrial experience with an internship at Zoho. Like many final year students, I had a thirst to get placed in a good company, and to fulfil that wish Maidsafe came to our college for campus recruitment, and I was offered an internship. And now am here.